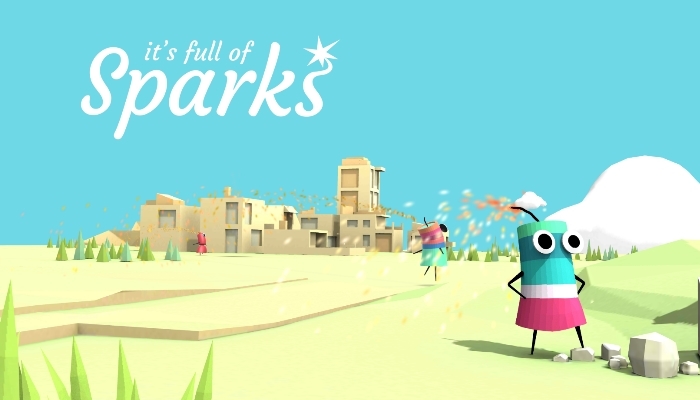 It’s Full of Sparks is the latest offering from developer Dabadu Games and publisher Noodlecake. The objective is to prevent the fireworks from exploding, and you are presented with an assortment of firecrackers that you need to save. It is a platform puzzler that is light, charming and yet requires some dexterity too. All you need to do is move from one side to the next as possible. You can complete this in a few seconds, but there are a lot of obstacles in the way that you must hurdle. Some of these hindrances have color coding, and a tap can make these blocks appear or disappear. The color switching and tapping is easy enough at first, but it gets harder as the game speed and intricacy picks up. By using the yellow, green and red glasses, you will have control voer the obstacles in your way. So if there is a yellow wall between you and the end goal, use the yellow glasses by tapping the appropriate button and the wall disappears. The objects in the game – the walls, bridges, propellers, etc can be turned on or off depending on what the situation calls for. The simple mechanics is what will get you hooked into the game and keep going. The tricky part is you can only remove those of the same color at one time, and since you have to dodge multi-colored objects, things become complicated. In some cases you have to be methodical, and in others you need to be lightning quick. And that is what makes It’s Full of Sparks a blast to play.